As oil prices race toward $100 a barrel, the expectations that gasoline prices will make a leap are running high. Some traders say $4 a gallon will be a reality in the not-too-distant future, and prices could shoot even higher. But that might be the exception rather than the average in the United States this year unless the Middle East unrestspreads to Saudi Arabia or another major oil producer, according to Thomas Kloza, chief analyst at OPIS. "The edges of the country and the coasts will see higher prices than the interior of the country where they can use domestic and Canadian crude. 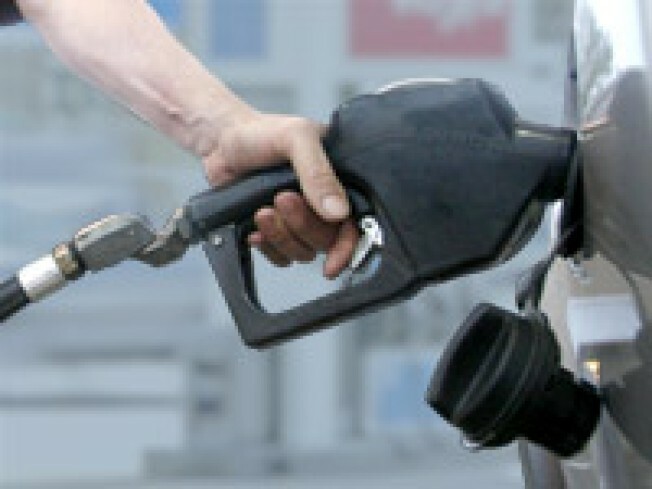 I think the prices are going to top out at $3.50 to $3.75," per gallon, said Kloza. "I don't think we're about to embark on a launch pad for another 2008. We went up to $4.11 by the summer. We went to nearly $5 for diesel," he said. He said the level where consumers start to feel real pain at the pump is about $3.80 to $4 per gallon. "I'm definitely not in the group that's looking for the apocalypse right now. Let's watch California. California is the first state that will see prices go up to the point that will really impact consumers," he said. Kloza expects other oil producers to make up for the loss of supply from Libya, which declared force majeure on oil production Tuesday. Kloza said there is about 5.5 million barrels of oil that major producers could put into production, the bulk of which would be from Saudi Arabia. Libya was producing 1.6 million per day and accounts for about 2 percent of global oil production. Kloza said the East Coast of the U.S. has already been experiencing higher prices because of the premium on Brent crude versus West Texas Intermediate (WTI). East coast refiners, which import more oil from Africa and the Middle East, are more sensitive to Brent crude pricing. Brent crude, consumed mainly in Europe and Asia, has been trading in an usual pattern, rising ahead of WTI on demand and also on concerns about the Middle East. Brent, at about $106 Tuesday, traditionally trades below WTI but has been trading with a premium of more than $20. WTI is now catching up, jumping to about $95 Tuesday as the shutdown of Libyan oil production and the violence there triggered concern about global supply. WTI has been depressed by the high supply levels at its delivery point in Cushing, Okla. Most investors do not take delivery of WTI when futures contracts expire, and the oil has been piling up. "You're going to see diversity in pricing. The West Coast right now, California gas prices are well above the average. In the Northeast, prices tend to be higher than other parts of the country. If you're in the Midwest, you're barely at $3 and that may be the template for the year," Kloza said. Ken Hersh, chief executive officer of NGP Energy Capital Management, agrees that the U.S. will not see a big spike in gasoline, like some other parts of the world. "The U.S. is very well supplied. In fact, the U.S. is oversupplied," he said on CNBC's "Strategy Session." The spike in oil prices also coincides with the slowest driving time of the year, which means that gasoline refineries are not running at capacity. "They're around 80 percent of capacity right now. It may trail off just a little bit more...they probably need to run at 85 percent or higher. There's plenty of capacity so there's the ability to make enough gasoline. In the mid continent this morning, there was a merger between two refiners Holly and Frontier. Both companies are absolutely beneficiaries of cheaper domestic crude," he said. Dallas-based Holly Corp and Frontier Oil , headquartered in Houston, announced an all-stock deal that gives the combined company an enterprise value of $7 billion. The new company will be one of the biggest oil refiners and will operate in the Southwest, Midwest and Rocky Mountains. Refiners should ramp up capacity by April, ahead of the busy summer driving season.